Today, Feb 13th 2018, I am celebrating 12 years of my marriage with Pallavi! What a proud moment ! !…for Pallavi because she managed to cope up with me for such a long time…For me because I was able to beg, borrow, steal and somehow managed to have her by my side all these years…for both of us, because we know we are better together! Life has always been, and I think it will always be a roller coaster. And I think that is the fun part. Where is the fun if life is simple, predictable and plain? In a roller coaster life there are ups and downs every day. Sometimes, she wins and argument, and sometimes you lose an argument (I know)…and that’s life! The beauty is that we are able to argue with each other on small things, big things, things that matter and things that don’t matter. Sometimes we end up making a fool of ourselves to be fighting over a matter worth nothing…and sometimes we make a big decision in a second when we should be fighting over it…Thats, unpredictable! Pallavi brings fun to life. I find excuses. She brings lives to life. I change their diapers. She brings words to life. I write blogs. She loves me unconditionally. I wonder why? So, going back to the roller coaster, our ride started in 2005 when we first met. We got married in Feb 2006, and ever since we’ve been trying to find out who made the wrong (or right) decision. She is an ideal wife, a great friend and a perfect mom (Don’t ask my son Aahan – he disagrees, but what does he know?). Any ways, with the way of the world and how things turned out, we ended up being away from each other for about 4-5 months. Finally we joined each other in the US in July 2006. 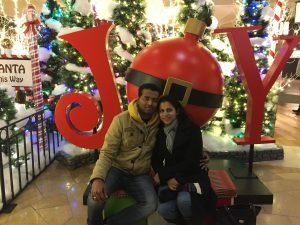 I have so many memories of our life together that this blog post wont do justice to them, but I do want to tell this to you, Pallavi- I can’t live a moment in a day without thinking of you. As i wake up in the morning, i think of your smiling face next to me…before I realize you are still sleeping and then I get to wake you up. Then, I think of delicious tea that I’ll be having with you…but I have to make it first. Then the running around to get ready for school and office…and that occasional argument which sometimes you win and sometimes I lose…well, sometimes I am thinking about those for the whole day, but jokes apart. Delicious breakfast and lunch that you make for me, and if I am lucky, also get to eat that with you. The way you care for me, even though I do not…is amazing! The way you know me, even though I do not, is fascinating. The way you support, guide and motivate me, when even I am not sure what to do – Is breathtaking. YOU, are wonderful. and I am fortunate! to have you in my life. On this anniversary, I wish you lots of love, and I hope we’ll have many more dozens of years together…on this roller coaster of love, happiness, fun and unpredictable life! It may seem like a Govinda movie title, but the movie has been more of a SRK type. It has been a romantic comedy thriller. Well, I am not talking about a movie that I watched over the weekend. I am talking about the movie of my lifetime. The life of my movie…and the one and only wife of my lifetime. Today, we complete 11 years of fun filled marriage. 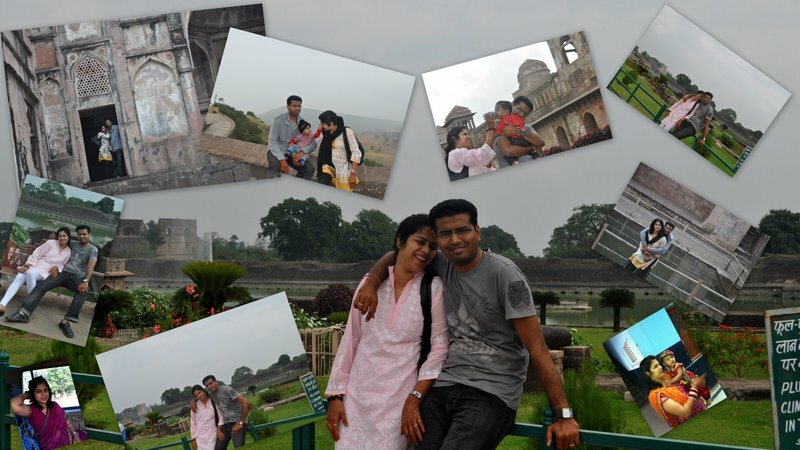 A life that has been a roller coaster with Pallavi. It has been fun mostly, sad at times, thrilling on occasions and comedy almost every other day…but overall, its been what they say truly 1+1 = 11…Ek aur Ek Gyara. One person alone can not do anything in this world, let alone make life fun and living remarkable. With my other 1, that is Pallavi, I’ve been able to do it. She is an amazing friend, an equally wonderful wife, an excellent partner in crime, a loving mom to the kids!! What you need in a life partner is someone who’ll keep you honest; someone who’ll show you what you can do and can not do; Someone who’ll cheer you, help you, support you and most importantly, Love you unconditionally. Pallavi is all that except the “unconditionally” part; I am not kidding. She does all that so very well with just one condition – I should try to do all that even better. She has been trying for last 11 years, but I am not a quick learner. I have my own share of mistakes – those are the comedy days. I hurt her sometimes, which make for the sad times of our movie…but then again, we don’t keep that part long and get right into a situational song and turn around the movie into a fun one! I know this 1+1 partnership will continue to be one that we’ll remember as a blockbuster and celebrate at each award function. But in this movie, for this year, the award for Best Supporting Role, Best Mom, Best Wife, Best Bahu and the Best Friend goes to Pallavi! 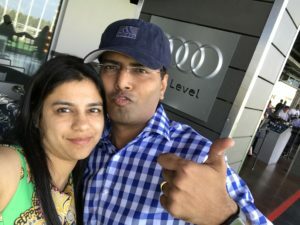 Love you Pallavi, and wishing you all the happiness life can bring….a happy Anniversary! P.S. > Happy Anniversary Mom….from Aahan and Aayra! Sweetheart, on our 10th anniversary, here are some words for you…all the way from the bottom of my heart. I miss you…love you! and Wishing you a lovely anniversary! तो तेरे साथ बीताये हर लम्हे को याद किया..
आँखों में थोड़ी थोड़ी सी नमी और दिल में एक दर्द अपने साथ लायी..
तेरी खुश्बू से ये घर अब भी महकता है…. तेरी हंसी, तेरी मुस्कराहट, और वह जिंदादिल अदा भी अपने साथ लायी..
बस जब भी चाहा मैंने तुम्हे, तुमसे वही चाहत दस गुना ज्यादा ही पायी! 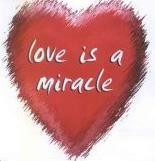 Love Will Find the Way…Please Pray!! Where there is Love, there is a way. Of course it looks easy, you should choose the first one. But wait, the first one is full of those deligtful things if you have your partner with you..its not a path to be travelled alone. And the decision he has to take is not his own decision, but its a decision of two lives. I want both of them to understand that its not about them. Its about the other half. Its about the rest of the life that is ahead of them. When you are in love, and are not able to decide, leave it to your heart. Follow the way it shows. Follow the lights and i bet you’ll get rid of darkness. A decision taken without love is a decision worth nothing. It will only be regretted. I am praying for them, that they are able to take a right decision which will make them happy forever..and ever. After all, its in the moments of decision that our destiny is shaped. I am praying for them so they can have the courage to let go the boundations of the material world. I am praying for them so they can understand the importance of each other in their lives; so they can realize what they will miss being away; so they can realize its not about them…its about love, about life and about humanity. love story fails, humanity falls weaker. I am praying so their love story can succeed. I want you to pray so they can be with each other everyday. I want you to pray, so that love will find the way!! My morning started with a phone call from a very dear friend. He is in love. He is in dilemma. He is on a fork on the road and not sure which way to choose. He has two options. One road leads to happiness, success, smiles, love, togetherness and life! Another way leads to loneliness, tears, sorrow and what not. I wish this decision was easy for him.